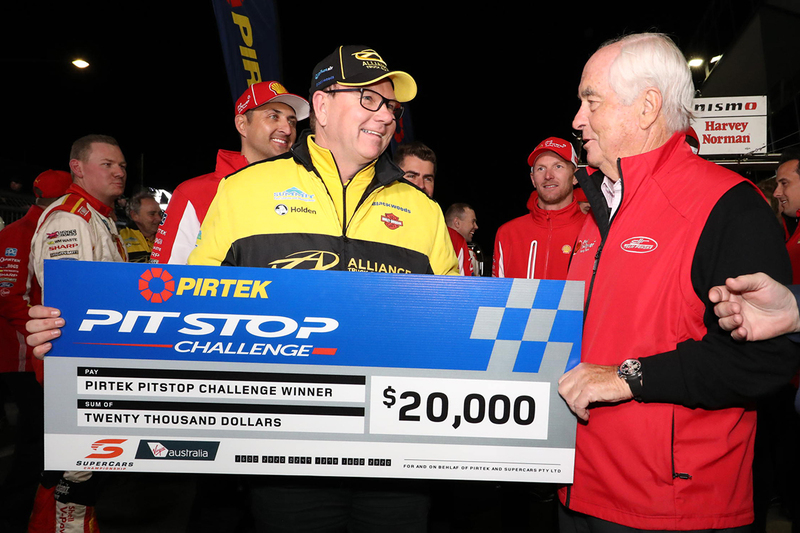 Shell V-Power Racing owner Roger Penske graciously split the $20,000 PIRTEK Pit Stop Challenge winner’s cheque with Brad Jones after a tight finish to the Bathurst finale. 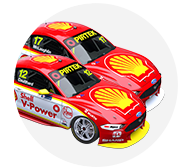 Penske’s #17 Ford faced off against BJR’s #8 Holden in a live-televised final, after those crews beat the #1 Red Bull Holden and #55 Supercheap Ford respectively in the semi-finals. 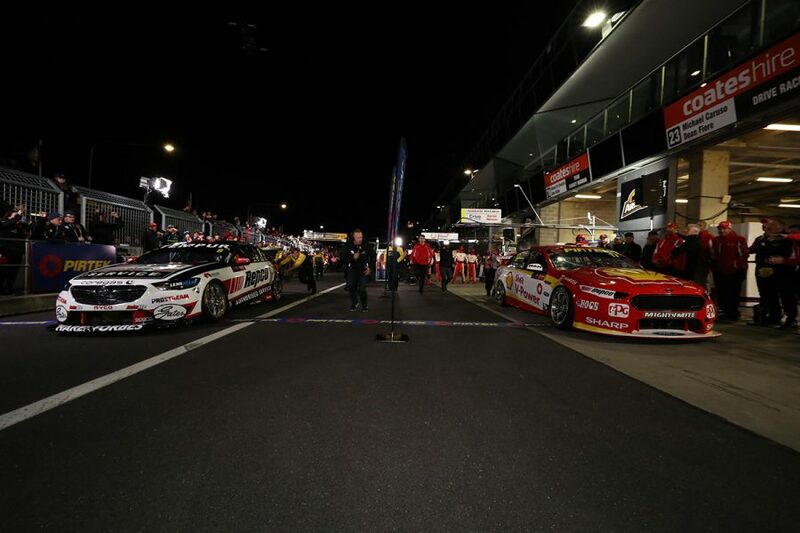 A close finish to the final ensued, with the Shell team immediately celebrating victory – a reaction backed up by television footage that showed the Falcon cross the line first. 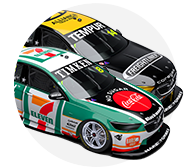 The result was questioned by BJR, however, causing some confusion before PIRTEK CEO Stephen Dutton handed the winner’s cheque to Penske.